Do you ever drive to an event in your horsebox only to arrive and find all your expensive, carefully cleaned and maintained saddles sat in a pile on the floor of your horsebox? This is a problem we hear about time and again - as always, we listened to our customers' problems and decided it was time to sit down and design a solution the problem. A superb new saddle bracket designed specifically to prevent saddles falling off whilst you are moving. The bracket is made entirely from aluminium - which keeps it light (an important factor when choosing parts for your horsebox) but still strong enough to take the weight of a saddle. The bracket is shaped specifically to match the shape of a saddle and comes with 4 no. fixings holes to allow it to be securely fixed to the wall of your horsebox. 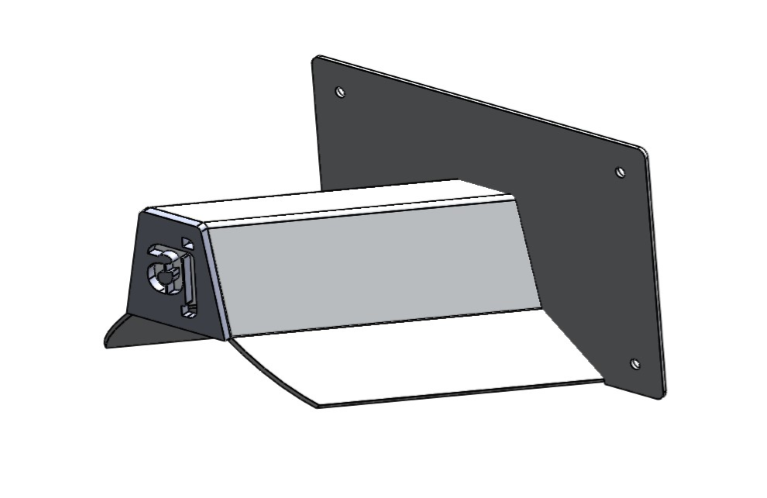 Bracket dimensions are length = 280mm, width = 40mm. Please note, this is not suitable for some treeless saddles, please check the bracket dimensions.